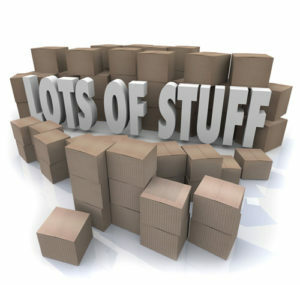 You want to downsize and move, but are overwhelmed with what to do with all the excess. Your basement is full of forgotten possessions, including furniture inherited from family members who have passed away. Your parents’ home needs to be cleared and their estate settled. The family home of 50 years holds many memories and countless possessions. It’s a daunting task, even under the best of circumstances. You got an offer on your house and need to sell several roomfuls quickly! You need an effective solution so you don’t have to move things you don’t need or want. Hire Real Order to act as Project Manager for a profitable online estate and downsizing sale. Eliminate the time consuming effort of liquidating assets in consignment shops, Craigslist or other means. The reality is that traditional estate sales usually have at least 40% of the items left over at the end. With an online estate sale, practically everything sells, even common household items. 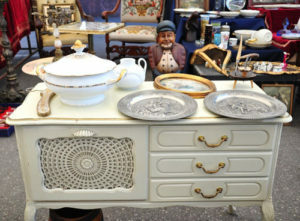 There’s competition from hundreds of antique dealers, collectors and everyday people who watch the auction and place bids. There’s minimal disruption to you – and you don’t have to deal with strangers wandering through your home looking at all your stuff. We partner with MaxSold, a reputable estate sale company trusted by move managers, realtors, and estate trustees around the country. The MaxSold team photographs and catalogs the items for sale and runs the online auction. They process the payments online and supervise the pick-up. You don’t even need to be home. In our experience, it’s by far the easiest way to liquidate the things worth selling when you’re downsizing. Betty and Joe’s 5-bedroom home of 25 years was filled to overflowing with their lifetime accumulation of possessions. They needed to move into a senior community due to declining health, but didn’t think they would ever be able to unbury themselves. Together, we worked with them to sort into categories: keep, sell, give away, and trash – leaving only the items to be sold in the home. After moving them into their beautiful two bedroom apartment, the Real Order team organized the goods to be sold into lots. We partnered with MaxSold to catalog, photograph, and upload to an online catalog. In less than two weeks, everything was sold and the house was completely cleared, ready for the new owners to take possession. Betty told us afterwards that she would never bury themselves like that again and that they loved their new, uncluttered lifestyle! It is really hard to put into words how much Terri and her organization skills have helped me. I’ve always wanted to be better organized, but just never knew where to start and felt overwhelmed. Hiring Real Order was the best financial decision I’ve ever made – it was better than taking a college course! We decluttered and organized two home offices, master closet, pantry, craft/hobby room, and set up a filing system. Our home is more peaceful and my husband is happy. Terri makes organizing fun! !